Unique Metal Lake Home for Sale Lake Sardis Clayton,Ok. This Property Has 3.16 acres of Pushmataha County Land with Metal Home & Shop.The property is located at 36156 State HWY 43 Clayton,Ok 74536. The Metal Home has Custom Cabinets and 3- Bedrooms & 2- Baths one with whorlpool tub. Also there is more agreage available if you wont more land it joins Sardis Lake corp property can walk down to lake. You can store your large RV or MOTOR HOME inside this 40x80 enclosed with 20x40 covered carport on West end can access the Shop from inside home built new in 2005. Also has RV clean out and Property is fenced and gated.Close to Lake Sardis with good Fishing for Crappie,Bass & Cat Fish. Near Sardis Cove RV Park and Boat Ramp also has Mountain Views to enjoy. LOACATED 3 1/2 HOURS FROM DALLAS,TX AND 3 HOURS FROM OKC AND 2 1/2 HOURS FROM TULSA,OK. Seen by appointment only - no exceptions. 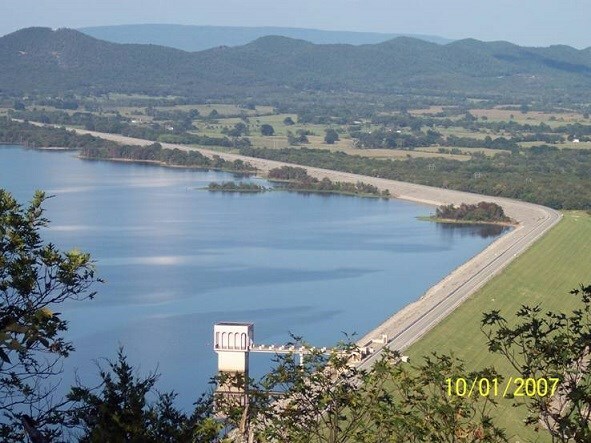 Contact Agents Mark & Sherry Gee for more information and specifics of this home & acreage for sale in Clayton,Oklahoma on Lake Sardis & Pushmataha County in Southeast OK.